Abir is a researcher at the Software Research Institute (SRI), Athlone Institute or Technology (AIT) within the Irish Centre of Cloud Computing and Commerce (IC4) in Ireland. She received the PhD degree in Computer Science from polytech’ Nantes, University of Nantes (Nantes, France). Her PhD was within the framework of the research project “ACSCOM”, “Apport du Chaos dans la Sécurité des systèmes Communicants Optiques et Mobiles” supported by the ANRT. She developed her doctoral thesis on Cryptography from September 2006 to November 2009. Later, she joined the Operational Cryptology and Virology Laboratory ((C+V)°), ESIEA and Le Mans university in Laval in 2010 then the computer science lab. (LIFO), university of Orleans in Orleans (France) in 2011 as a lecturer-researcher. 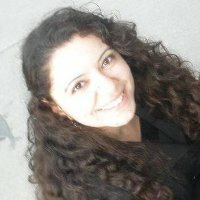 In 2012, she was a researcher with the computer science dep., Ryerson university, Toronto Canada.